That was his way of saying that the impact of Ramcharitmanas was negative compared to that of Ramayana. Valmiki told a human tale without propagating any selective morality. Tulsidas turned that tale into a religious text with sanitised spiritual tenets for devotees to follow. Shrewdly, Ambedkar showed why the Hindi belt was culturally different, and less tolerant, than the rest of India. Ambedkar has become a message, as only Mahatma Gandhi has. After their passing, a difference between the two messages slowly developed. Gandhism has been largely contained within its symbolic value, while Ambedkarism has developed into a cult inspiring a growing movement for social and political advancement. 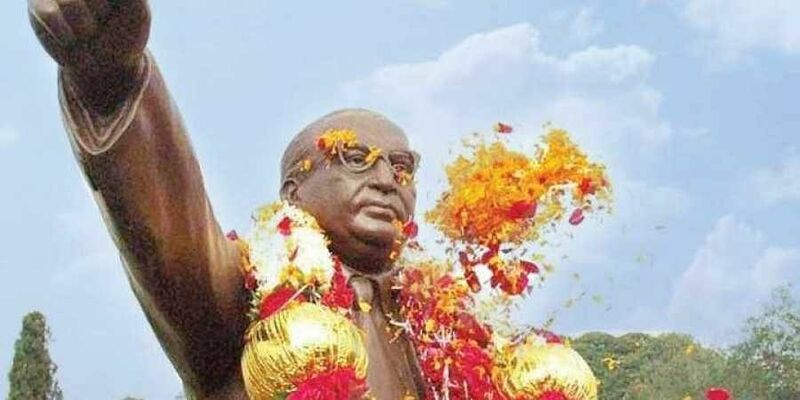 The number of Ambedkar statues across India bears witness to it. Ambedkar got married when he was 17. But he was Ambedkar and he went on with his education. He used to tell his followers to avoid early marriage so that they could focus on education. Books were his lifelong passion. A follower counted 8,000 books in his house in 1938. When Ambedkar died 18 years later, there were 35,000 books. He would have books on the bed, on side tables near it, on the floor, on his chest as he dozed off. There was a rush of religious suitors when Ambedkar declared his intention to leave Hinduism. The Nizam of Hyderabad offered Rs 5 crore if he and his followers embraced Islam. The authorities of the Golden Temple explained to him about the equality that prevailed in Sikhism. Christians tried a trick. The British bishop of Bombay took the highfalutin position that there was no point in conversion without conviction. At the same time other bishops, all Britons, wooed him with promises of Jesus Christ’s blessings. Ambedkar had no difficulty in turning away from the bishops because he knew that the caste system was a reality in Christianity, too. One of the most learned men of his time, Ambedkar knew that Buddhism was the right refuge for him. Included in the book are excerpts from a diary kept by Devi Dayal, who looked after Ambedkar’s books and sundry household tasks. The title of the diary proclaims its uniqueness: Daily Routine of Dr. Ambedkar. It tells you all about what Babasaheb ate for breakfast (toast, eggs and tea), how he carried newspapers to the dining table, marking items with a red pencil to be cut and preserved, how he could recall from memory which cutting was in which file kept in which cupboard. The Dalit feminist writer Urmila Pawar sums things up in her foreword by saying, “The more we see him in the round, the richer we become,” a point that can be made about no leader alive today.